Plot Summary: The Blue World, which symbolizes reason, is under constant attack by the creatures called the Nightfly O'Note originating from the Red World, symbolizing instinct. Akira Asagi, the 17-year-old protagonist who is a researcher at Blue World, is nominated to lead the war at Ryuukyuu LAG, a proud defense facility on the islands of Ishigaki and Iriomote. She meets the sixth combat unit "IS," which was formed four years after a fierce battle that annihilated the fifth unit. 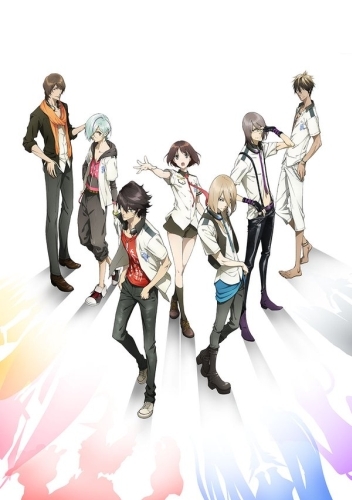 Akari must lead these six riders, also called the Scared Rider Xechs, to fight against the other world while at the same time deepening the relationship among them.